The Arc SF's Household Goods Recycling Program is now affiliated with Community Thrift Store. 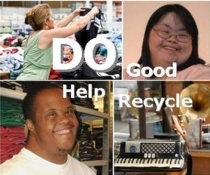 The Arc San Francisco's Household Goods Recycling Program is now affiliated with Community Thrift Store, an independent and non-discriminatory establishment that accepts donations on behalf of over 200 Bay Area charity partners. Community Thrift then sells the items in its store, and then disburses the proceeds to each charity. Donation Drop Offs: Community Thrift's donation door is open from 10am-5pm every day. It is located on the south side of the building on Sycamore Alley, parallel to 18th Street and perpendicular to Mission and Valencia Streets (Sycamore runs one way from Mission toward Valencia). Please take a look at the Welcome/Unacceptable Donations lists before bringing your items to the store. Furniture pick-ups: are available in San Francisco Sunday-Thursday. Please note that pickups are usually booked about 1-2 weeks in advance. Call Community Thrift at (415) 861-4910 to make an appointment.  Be sure to designate The Arc San Francisco as your charity of choice when donating to Community Thrift Store! Taxes: Community Thrift is a 501(c)(3) non-profit agency and your donation is tax deductible. Community Thrift's Federal Tax ID Number is 23-7262039. Your reusable clothing and household items DO make a difference. Items should be in clean and sell-able condition. Some items are subject to refusal. Items that are broken, chipped, cracked, damaged, dirty, odorous, scratched, worn-out, stained, torn, wet, moldy, rusty, frayed, disassembled or incomplete DO NOT SELL. Items that have spent numerous seasons exposed to pet hair or the elements DO NOT SELL. Items that have survived a month of garage sales DO NOT SELL. Community Thrift is forced to haul items like these to the dump, which is costly and wasteful, and takes away funds from quarterly disbursements to charities. What's the value of my donation?